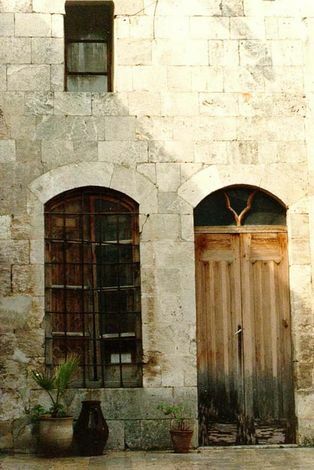 A private house in the al-Jubeilah district, on the other side of the citadel. All rooms are entered through doorways like this, off a square courtyard. Exit from the house is through a door that leads from the courtyard to a short tunnel that debouches on a narrow street.